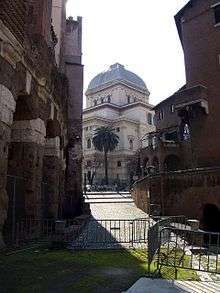 The Great Synagogue of Rome. The history of the Jews in Italy spans more than two thousand years. The Jewish presence in Italy dates to the pre-Christian Roman period and has continued, despite periods of extreme persecution and expulsions, until the present. 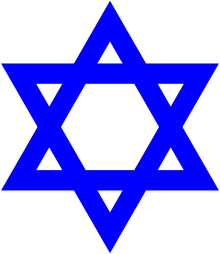 As of 2007, the estimated core Jewish population in Italy numbers around 45,000. It is known more certainly that an embassy was sent later by Simon Maccabeus to Rome to strengthen the alliance with the Romans against the Hellenistic Seleucid kingdom. The ambassadors received a cordial welcome from their coreligionists already established in Rome. Large numbers of Jews lived in Rome even during the late Roman Republican period. They were largely Greek-speaking and poor. As Rome had increasing contact with and military/trade dealings with the Greek-speaking Levant, during the 2nd and 1st centuries BCE, many Greeks, as well as Jews, came to Rome as merchants or were brought there as slaves. The Romans appear to have viewed the Jews as followers of peculiar, backward religious customs, but antisemitism as it would come to be in the Christian and Islamic worlds did not exist (see Anti-Judaism in the pre-Christian Roman Empire). Despite their disdain, the Romans did recognize and respect the antiquity of the Jews' religion and the fame of their Temple in Jerusalem (Herod's Temple). Many Romans did not know much about Judaism, including the emperor Augustus who, according to his biographer Suetonius, thought that Jews fasted on the sabbath. Julius Caesar was known as a great friend to the Jews, and they were among the first to mourn his assassination. In Rome, the community was highly organized, and presided over by heads called άρχοντες (archontes); or γερουσιάρχοι (gerousiarchoi) . The Jews maintained in Rome several synagogues, whose spiritual leader was called αρχισυνάγωγος (archisunagogos). Their tombstones, mostly in Greek with a few in Hebrew/Aramaic or Latin, were decorated with the ritual menorah (seven-branched candelabrum). Jews in pre-Christian Rome were very active in proselytising Romans in their faith, leading to an increasing number of outright converts, as well as those who adopted some Jewish practices and belief in the Jewish God without actually converting (called God-fearers). The fate of Jews in Rome and Italy fluctuated, with partial expulsions being carried out under the emperors Tiberius and Claudius. After the successive Jewish revolts of 66 and 132 CE, many Judean Jews were brought to Rome as slaves (the norm in the ancient world was for prisoners of war and inhabitants of defeated cities to be sold as slaves). These revolts caused increasing official hostility from the reign of Vespasian onwards. The most serious measure was the Fiscus Judaicus, which was a tax payable by all Jews in the Roman Empire. The new tax replaced the tithe that had formerly been sent to the Temple in Jerusalem (destroyed by the Romans in 70 CE), and was used instead in the temple of Jupiter Optimus Maximus in Rome. With the promotion of Christianity as a legal religion of the Roman Empire by Constantine in 313 (the Edict of Milan), the position of Jews in Italy and throughout the empire declined rapidly and dramatically. Constantine established oppressive laws for the Jews; but these were in turn abolished by Julian the Apostate, who showed his favor toward the Jews to the extent of permitting them to resume their plan for the reconstruction of the Temple at Jerusalem. This concession was withdrawn under his successor, who, again, was a Christian; and then the oppression grew considerably. Nicene Christianity was adopted as the state church of the Roman Empire in 380, shortly before the fall of the Western Roman Empire. At the time of the foundation of the Ostrogothic rule under Theodoric (493–526), there were flourishing communities of Jews in Rome, Milan, Genoa, Palermo, Messina, Agrigentum, and in Sardinia. The Popes of the period were not seriously opposed to the Jews; and this accounts for the ardor with which the latter took up arms for the Ostrogoths as against the forces of Justinian—particularly at Naples, where the remarkable defense of the city was maintained almost entirely by Jews. After the failure of the various attempts to make Italy a province of the Byzantine empire, the Jews had to suffer much oppression from the Exarch of Ravenna; but it was not long until the greater part of Italy came into the possession of the Lombards (568-774), under whom they lived in peace. Indeed, the Lombards passed no exceptional laws relative to the Jews. Even after the Lombards embraced Catholicism the condition of the Jews was always favorable, because the popes of that time not only did not persecute them, but guaranteed them more or less protection. Pope Gregory I treated them with much consideration. Under succeeding popes the condition of the Jews did not grow worse; and the same was the case in the several smaller states into which Italy was divided. Both popes and states were so absorbed in continual external and internal dissensions that the Jews were left in peace. In every individual state of Italy a certain amount of protection was granted to them in order to secure the advantages of their commercial enterprise. The fact that the historians of this period scarcely make mention of the Jews, suggests that their condition was tolerable. There were many expulsions, including an expulsion from Trani in 1380 , as well as all other Jewish communities south of Rome and a brief expulsion from Bologna in 1172. A nephew of Rabbi Nathan ben Jehiel acted as administrator of the property of Pope Alexander III, who showed his amicable feelings toward the Jews at the Lateran Council of 1179, where he defeated the designs of hostile prelates who advocated anti-Jewish laws. Under Norman rule the Jews of southern Italy and of Sicily enjoyed even greater freedom; they were considered the equals of the Christians, and were permitted to follow any career; they even had jurisdiction over their own affairs. Indeed, in no country were the canonical laws against the Jews so frequently disregarded as in Italy. A later pope—either Nicholas IV (1288–1292) or Boniface VIII (1294–1303)—had for his physician a Jew, Isaac ben Mordecai, nicknamed Maestro Gajo. Solomon ben Abraham ibn Parhon compiled during his residence at Salerno a Hebrew dictionary which fostered the study of Biblical exegesis among the Italian Jews. On the whole, however, Hebrew culture was not in a flourishing condition. The only liturgical author of merit was Joab ben Solomon, some of whose compositions are extant. Toward the second half of the 13th century signs appeared of a better Hebrew culture and of a more profound study of the Talmud. Isaiah di Trani the Elder (1232–1279), a high Talmudic authority, was the author of many celebrated responsa. David, his son, and Isaiah di Trani the Younger, his nephew, followed in his footsteps, as did their descendants until the end of the seventeenth century. Meïr ben Moses presided over an important Talmudic school in Rome, and Abraham ben Joseph over one in Pesaro. In Rome two famous physicians, Abraham and Jehiel, descendants of Nathan ben Jehiel, taught the Talmud. One of the women of this gifted family, Paola dei Mansi, also attained distinction; her Biblical and Talmudic knowledge was considerable, and she transcribed Biblical commentaries in a notably beautiful handwriting (see Jew. Encyc. i. 567, s.v. Paola Anaw). About this period the Holy Roman Emperor Frederick II, the last of the Hohenstaufen, employed Jews to translate from the Arabic philosophical and astronomical treatises; among these writers were Judah Kohen of Toledo, later of Tuscany, and Jacob Anatoli of Provence. This encouragement naturally led to the study of the works of Maimonides—particularly of the "Moreh Nebukim"—the favorite writer of Hillel of Verona (1220–1295). This last-named litterateur and philosopher practised medicine at Rome and in other Italian cities, and translated into Hebrew several medical works. The liberal spirit of the writings of Maimonides had other votaries in Italy; e.g., Shabbethai ben Solomon of Rome and Zerahiah Ḥen of Barcelona, who migrated to Rome and contributed much to spread the knowledge of his works. The effect of this on the Italian Jews was apparent in their love of freedom of thought and their esteem for literature, as well as in their adherence to the literal rendering of the Biblical texts and their opposition to fanatical cabalists and mystic theories. Among other devotees of these theories was Immanuel ben Solomon of Rome, the celebrated friend of Dante Aligheri. The discord between the followers of Maimonides and his opponents wrought most serious damage to the interests of Judaism. The position of Jews in Italy worsened considerably under Pope Innocent III (1198–1216). This pope threatened with excommunication those who placed or maintained Jews in public positions, and he insisted that every Jew holding office should be dismissed. The deepest insult was the order that every Jew must always wear, conspicuously displayed, a special yellow badge. In 1235 Pope Gregory IX published the first bull against the ritual murder accusation. Other popes followed his example, particularly Innocent IV in 1247, Gregory X in 1272, Clement VI in 1348, Gregory XI in 1371, Martin V in 1422, Nicholas V in 1447, Sixtus V in 1475, Paul III in 1540, and later Alexander VII, Clement XIII, and Clement XIV. The Jews suffered much from the relentless persecutions of the Avignon-based antipope Benedict XIII. They hailed his successor, Martin V, with delight. The synod convoked by the Jews at Bologna, and continued at Forlì, sent a deputation with costly gifts to the new pope, praying him to abolish the oppressive laws promulgated by Benedict and to grant the Jews those privileges which had been accorded them under previous popes. The deputation succeeded in its mission, but the period of grace was short; for Martin's successor, Eugenius IV, at first favorably disposed toward the Jews, ultimately reenacted all the restrictive laws issued by Benedict. In Italy, however, his bull was generally disregarded. The great centers, such as Venice, Florence, Genoa, and Pisa, realized that their commercial interests were of more importance than the affairs of the spiritual leaders of the Church; and accordingly the Jews, many of whom were bankers and leading merchants, found their condition better than ever before. It thus became easy for Jewish bankers to obtain permission to establish banks and to engage in monetary transactions. Indeed, in one instance even the Bishop of Mantua, in the name of the pope, accorded permission to the Jews to lend money at interest. All the banking negotiations of Tuscany were in the hands of a Jew, Jehiel of Pisa. The influential position of this successful financier was of the greatest advantage to his coreligionists at the time of the exile from Spain. It is estimated that in 1492 Jews made up between 3% and 6% of the population of Sicily. Many Sicilian Jews first went to Calabria, which already had a Jewish community since the 4th century. In 1524 Jews were expelled from Calabria, and in 1540 from the entire Kingdom of Naples, as all these areas fell under Spanish rule and were subject to the edict of expulsion by the Spanish Inquisition. There was a gradual movement throughout the 16th century of Jews from the south of Italy to the north, with conditions worsening for Jews in Rome after 1556 and Venice in the 1580s. Many Jews from Venice and the surrounding area migrated to Poland and Lithuania at this time. When Jews were expelled from Spain in 1492, many of them found refuge in Italy, where they were given protection by King Ferdinand I of Naples. One of the refugees, Don Isaac Abravanel, even received a position at the Neapolitan court, which he retained under the succeeding king, Alfonso II. The Spanish Jews were well received also in Ferrara by Duke Ercole d'Este I, and in Tuscany through the mediation of Jehiel of Pisa and his sons. But at Rome and Genoa they experienced all the vexations and torments that hunger, plague, and poverty bring with them, and were forced to accept baptism in order to escape starvation. In a few cases the refugees exceeded in number the Jews already domiciled, and gave the determining vote in matters of communal interest and in the direction of studies. Popes Alexander VI to Clement VII were indulgent toward Jews, having more urgent matters to occupy them. After the 1492 expulsion of Jews from Spain, some 9,000 impoverished Spanish Jews arrived at the borders of the Papal States. Alexander VI welcomed them into Rome, declaring that they were "permitted to lead their life, free from interference from Christians, to continue in their own rites, to gain wealth, and to enjoy many other privileges." He similarly allowed the immigration of Jews expelled from Portugal in 1497 and from Provence in 1498. The popes and many of the most influential cardinals openly violated one of the most severe enactments of the Council of Basel, namely, that prohibiting Christians from employing Jewish physicians; and they even gave the latter positions at the papal court. The Jewish communities of Naples and of Rome received the greatest number of accessions; but many Jews passed on from these cities to Ancona, Venice, Calabria, and thence to Florence and Padua. Venice, imitating the odious measures of the German cities, assigned to the Jews a special quarter (ghetto). After the death of Pope Paul III (1534–1549), who had showed favor to the Jews, a period of strife, of persecutions, and of despondency set in. A few years later the Jews were exiled from Genoa, among the refugees being Joseph Hakohen, physician to the doge Andrea Doria and eminent historian. The Maranos, driven from Spain and Portugal, were allowed by Duke Ercole to enter his dominions and to profess Judaism freely and openly. Thus, Samuel Usque, also a historian, who had fled from the Inquisition in Portugal, settled in Ferrara; and Abraham Usque founded a large printing establishment there. A third Usque, Solomon, merchant of Venice and Ancona and poet of some note, translated the sonnets of Petrarch into excellent Spanish verse, which was much admired by his contemporaries. While the return to Judaism of the Marano Usques caused much rejoicing among the Italian Jews, this was counterbalanced by the deep grief into which they were plunged by the conversion to Christianity of two grandsons of Elijah Levita, Leone Romano and Vittorio Eliano. One became a canon of the Church; the other, a Jesuit. They heavily criticized the Talmud to Pope Julius III and the Inquisition; and as a consequence the pope pronounced the sentence of destruction against this work, to the printing of which one of his predecessors, Leo X, had given his sanction. On the Jewish New Year's Day (9 September), 1553, all the copies of the Talmud in the principal cities of Italy, in the printing establishments of Venice, and even in the distant island of Candia (Crete), were burned. In 1555, Pope Marcellus II wished to exile the Jews of Rome on a ritual murder accusation. He was restrained from the execution of the scheme by Cardinal Alexander Farnese who succeeded in bringing to light the true culprit. Many Jews abandoned Rome and Ancona and went to Ferrara and Pesaro. Here the Duke of Urbino welcomed them graciously in the hope of directing the extensive commerce of the Levant to the new port of Pesaro, which was, at that time, exclusively in the hands of the Jews of Ancona. Among the many who were forced to leave Rome was the illustrious Marano, Amato Lusitano, a distinguished physician, who had often attended Pope Julius III. He had even been invited to become physician to the King of Poland, but had declined the offer in order to remain in Italy. He fled from the Inquisition to Pesaro, where he openly professed Judaism. Paul IV was followed by the tolerant pope Pius IV who was succeeded by Pius V who restored all the anti-Jewish bulls of his predecessors—not only in his own immediate domains, but throughout the Christian world. In Lombardy the expulsion of the Jews was threatened, and, although this extreme measure was not put into execution, they were tyrannized in countless ways. At Cremona and at Lodi their books were confiscated. In Genoa, from which city the Jews were at this time expelled, an exception was made in favor of Joseph Hakohen. In his Emek Habachah he narrates the history of these persecutions. He had no desire to take advantage of the sad privilege accorded to him, and went to Casale Monferrato, where he was graciously received even by the Christians. In this same year the pope directed his persecutions against the Jews of Bologna. Many of the wealthiest Jews were imprisoned and placed under torture in order to force them to make false confessions. When Rabbi Ishmael Ḥanina was being racked, he declared that should the pains of torture elicit from him any words that might be construed as casting reflection on Judaism, they would be false and null. It was forbidden to the Jews to absent themselves from the city; but many succeeded in escaping by bribing the watchmen at the gates of the ghetto and of the city. The fugitives, together with their wives and children, repaired to the neighboring city of Ferrara. Then Pius V decided to banish the Jews from all his dominions, and, despite the enormous loss which was likely to result from this measure, and the remonstrances of influential and well-meaning cardinals,the Jews (in all about 1,000 families) were actually expelled from all the Papal States excepting Rome and Ancona. A few became Christians. The majority found refuge in other parts of Italy, e.g. Leghorn and Pitigliano. A great sensation was caused in Italy by the choice of a prominent Jew, Solomon of Udine, as Turkish ambassador to Venice who was selected to negotiate within that republic during July 1574. There was a pending decree of expulsion of the Jews by the leaders of several kingdoms within Italy, thereby making the Venetian Senate concerned if whether there would be difficulties collaborating with Solomon of Udine. However, through the influence of the Venetian diplomats themselves, and particularly of the Patrician, Marcantonio Barbaro of the noble Barbaro family, who esteemed Udine highly, Solomon was received with great honors at the Doge's Palace. In virtue of this, Udine received an exalted position within the Republic of Venice and was able to render great service to his coreligionists. Through his influence Jacob Soranzo, an agent of the Venetian Republic at Constantinople, came to Venice. Solomon was influential in having the decree of expulsion revoked within Italian kingdoms, and he furthermore obtained a promise from Venetian patricians that Jews would have a secure home within the Republic of Venice. Udine was eventually honored for his services and returned to Constantinople, leaving his son Nathan in Venice to be educated. Nathan was one of the first Jewish students to have studied at the University of Padua, under the inclusive admission policy established by Marcantonio Barbaro. The success of Udine inspired many Jews in the Ottoman Empire, particularly in Constantinople, where they had attained great prosperity. The position of the Jews of Italy at this time was pitiable; pope Paul IV and Pius V reduced them to the utmost humiliation and had materially diminished their numbers. In southern Italy there were almost none left; in each of the important communities of Rome, Venice, and Mantua there were about 2,000 Jews; while in all Lombardy there were hardly 1,000. Gregory XIII was not less fanatical than his predecessors; he noticed that, despite papal prohibition, Christians employed Jewish physicians; he therefore strictly prohibited the Jews from attending Christian patients, and threatened with the most severe punishment alike Christians who should have recourse to Hebrew practitioners, and Jewish physicians who should respond to the calls of Christians. Furthermore, the slightest assistance given to the Maranos of Portugal and Spain, in violation of the canonical laws, was sufficient to deliver the guilty one into the power of the Inquisition, which did not hesitate to condemn the accused to death. Gregory also induced the Inquisition to consign to the flames a large number of copies of the Talmud and of other Hebrew books. Special sermons, designed to convert the Jews, were instituted; and at these at least one-third of the Jewish community, men, women, and youths above the age of twelve, was forced to be present. The sermons were usually delivered by baptized Jews who had become friars or priests; and not infrequently the Jews, without any chance of protest, were forced to listen to such sermons in their own synagogues. These cruelties forced many Jews to leave Rome, and thus their number was still further diminished. Under the following pope, Sixtus V (1585–1590), the condition of the Jews was somewhat improved. He repealed many of the regulations established by his predecessors, permitted Jews to reside in all parts of his realm, and gave Jewish physicians freedom to practice their profession. David de Pomis, an eminent physician, profited by this privilege and published a work in Latin, entitled De Medico Hebraeo, dedicated to Duke Francis of Urbino, in which he proved to the Jews their obligation to consider the Christians as brothers, to assist them, and to attend them. The Jews of Mantua, Milan, and Ferrara, taking advantage of the favorable disposition of the pope, sent to him an ambassador, Bezaleel Massarano, with a present of 2,000 scudi, to obtain from him permission to reprint the Talmud and other Jewish books, promising at the same time to expurgate all passages considered offensive to Christianity. Their demand was granted, partly through the support given by Lopez, a Marano, who administered the papal finances and who was in great favor with the pontiff. Scarcely had the reprinting of the Talmud been begun, and the conditions of its printing been arranged by the commission, when Sixtus died. His successor, Gregory XIV, was as well disposed to the Jews as Sixtus had been; but during his short pontificate he was almost always ill. Clement VIII (1592–1605), who succeeded him, renewed the anti-Jewish bulls of Paul IV and Pius V, and exiled the Jews from all his territories with the exception of Rome, Ancona, and Avignon; but, in order not to lose the commerce with the East, he gave certain privileges to the Turkish Jews. The exiles repaired to Tuscany, where they were favorably received by Duke Ferdinand dei Medici, who assigned to them the city of Pisa for residence, and by Duke Vincenzo Gonzaga, at whose court Joseph da Fano, a Jew, was a favorite. They were again permitted to read the Talmud and other Hebrew books, provided that they were printed according to the rules of censorship approved by Sixtus V. From Italy, where these expurgated books were printed by thousands, they were sent to the Jews of other various countries. Giuseppe Ciante (d. 1670), a leading Hebrew expert of his day and professor of theology and philosophy at the College of Saint Thomas in Rome was appointed in 1640 by Pope Urban VIII to the mission of preaching to the Jews of Rome (Predicatore degli Ebrei) in order to promote their conversion." In the mid-1650s Ciantes wrote a "monumental bilingual edition of the first three Parts of Thomas Aquinas' Summa contra Gentiles, which includes the original Latin text and a Hebrew translation prepared by Ciantes, assisted by Jewish apostates, the Summa divi Thomae Aquinatis ordinis praedicatorum Contra Gentiles quam Hebraicè eloquitur…. Until the present this remains the only significant translation of a major Latin scholastic work in modern Hebrew." It was strange that under Philip II. the Jews exiled from all parts of Spain were tolerated in the duchy of Milan, then under Spanish rule. Such an inconsistency of policy was designed to work ill for the interests of the Jews. To avert this misfortune an eloquent ambassador, Samuel Coen, was sent to the king at Alessandria; but he was unsuccessful in his mission. The king, persuaded by his confessor, expelled the Jews from Milanese territory in the spring of 1597. The exiles, numbering about 1,000, were received at Mantua, Modena, Reggio, Verona, and Padua. The princes of the house of Este had always accorded favor and protection to the Jews, and were much beloved by them. Eleonora, a princess of this house, had inspired two Jewish poets; and when she was ill public prayers were said in the synagogues for her restoration to health. But misfortune overtook the Jews of Ferrara as well; for when Alfonso II., the last of the Este family, died, the principality of Ferrara was incorporated in the dominions of the Church under Clement VIII., who decreed the banishment of the Jews. Aldobrandini, a relative of the pope, took possession of Ferrara in the pontiff's name. Seeing that all the commerce was in the hands of the Jews, he complied with their request for an exemption of five years from the decree, although this was much against the pope's wish. The Mole Antonelliana in Turin was conceived and constructed as a synagogue. The return to medieval servitude after the Italian restoration did not last long; and the Revolution of 1848, which convulsed all Europe, brought great advantages to the Jews. Although this was followed by restoration of the Papal States only four months later, in early 1849, yet the persecutions and the violence of past times had to a large extent disappeared. The last outrage against the Jews of Italy was connected with the case of Edgardo Mortara, which occurred in Bologna in 1858. In 1859 most of the papal states were annexed into the united Kingdom of Italy under King Victor Emanuel II. Except in and near Rome, where oppression lasted until the end of the papal dominion (20 September 1870), the Jews obtained full emancipation. In behalf of their country the Jews with great ardor sacrificed life and property in the memorable campaigns of 1859, 1866, and 1870. Of the many who deserve mention in this connection may be singled out Isaac Pesaro Maurogonato. He was minister of finance to the self-proclaimed Venetian Republic of San Marco (whose president, Daniele Manin came from a Jewish family that had converted to Christianity in 1759) during the war of 1848 against Austria, and his grateful country erected to him a memorial in bronze. Also erected in the palace of the doges there was a marble bust of Samuel Romanin, a celebrated Jewish historian of Venice. 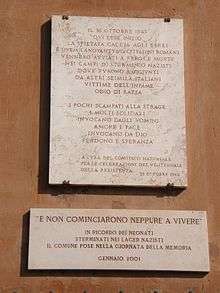 Florence, too, has commemorated a modern Jewish poet, Solomon Fiorentino, by placing a marble tablet upon the house in which he was born. The secretary and faithful friend of Count Cavour was the Piedmontese Isaac Artom; while L'Olper, later rabbi of Turin, and also the friend and counselor of Mazzini, was one of the most courageous advocates of Italian independence. The names of the Jewish soldiers who died in the cause of Italian liberty were placed along with those of their Christian fellow soldiers on the monuments erected in their honour. Pope John Paul II gave access to some formerly secret Vatican archives to scholars, one of whom, David Kertzer, used information thus obtained in his book The Popes Against the Jews. According to that book, in the late 19th and early 20th centuries, the popes and many Catholic bishops and Catholic publications consistently made a distinction between "good anti-Semitism" and "bad anti-Semitism". The "bad" kind directed hatred against Jews merely because of their descent. That was considered un-Christian, in part because the church held that its message was for all of mankind equally, and any person of any ancestry could become a Christian. The "good" kind denounced alleged Jewish plots to gain control of the world by controlling newspapers, banks, schools, etc., or otherwise attributed various evils to Jews. Kertzer's book details many instances in which Catholic publications denounced such alleged plots, and then, when criticized for inciting hatred of Jews, would remind people that the Catholic Church condemned the "bad" kind of anti-Semitism. A Holocaust Memorial in Rome's Jewish ghetto. A significant train of thought inside Italian Fascism, influenced by Nazism and its race theories, actively promoted anti-Semitism. Jews were depicted both as "rootless cosmopolitan" capitalist bourgeois and communists. The most notable figures associated with this point of view were Julius Evola, Paolo Orano, Roberto Farinacci, Telesio Interlandi and Giovanni Preziosi. However, at least until the promulgation of the 1938 racial laws, a number of Italian Jews held significant State offices and positions inside the National Fascist Party. Examples include Aldo Finzi and Giuseppe Volpi Count of Misurata. The latter served as Governor of Tripolitania 1921–1925 and Italy's Finance Minister 1925–1928. He was also the founder of the Venice International Film Festival. Furthermore, Margherita Sarfatti, a Jewish writer and socialite, was a close friend of Mussolini and a propaganda adviser of him. She authored the popular biography of the Italian dictator entitled "Dux". Giorgio Bassani, a Jewish Italian author, has given an insight into the life of the Jewish middle class during the Fascist regime. Michele Sarfatti has written a thorough compendium of the situation of the Italian Jewish community under the fascist regime in his book "The Jews in Mussolini's Italy: from equality to persecution". The Fascist regime also helped, at the request of Vladimir Jabotinski, the establishment in 1934 of a navy officer training camp in Civitavecchia for Mandatory Palestine Jews, laying the foundations of the Israeli Navy. By helping the Zionist cause, Mussolini hoped to gain influence in the Middle East at the expense of the British Empire. The Italian colonial authorities in Ethiopia after the conquest of this African state came into contact with the Beta Israel community and greatly favoured them, enacting special laws to protect them from offences and violences routinely committed against them by Christian and Muslim Ethiopians. The regime also encouraged cultural exchanges between the Italian Jewish community and the Ethiopian Jews. Incidentally, the first scholar to describe using a modern, scientific approach, this ethnic group was Filosseno Luzzato, an Italki Jew. Starting in 1843, he collected and selected data about the Falasha. After Italy entered the war in 1940 Jewish refugees living in Italy were interned in concentration camps such as the Campagna concentration camp and the concentration camp at Ferramonti di Tarsia. In 1942 the Italian military commander in Croatia refused to hand over Jews in his zone to the Nazis. In January 1943 the Italians refused to cooperate with the Nazis in rounding up the Jews living in the occupied zone of France under their control and in March prevented the Nazis from deporting Jews in their zone. German Foreign Minister Joachim von Ribbentrop complained to Benito Mussolini that "Italian military circles... lack a proper understanding of the Jewish question." The deportations of Italian Jews to Nazi death camps began after September 1943, when Italy capitulated to the Allies and, in response, the German troops invaded Italy from the North. However, by the time they got to the Campagna concentration camp, all the inmates had already fled to the mountains with the help of the local inhabitants. Rev. Aldo Brunacci of Assisi, under the direction of his bishop, Giuseppe Nicolini, saved all the Jews who sought refuge in Assisi. This effort became the basis for the novel The Assisi Underground. In October 1943, Nazis raided the Jewish ghetto in Rome. In November 1943, the Jews of Genoa and Florence were deported to Auschwitz. Jews of Friuli were deported to Auschwitz via Risiera di San Sabba concentration camp. It is estimated that 7,500 Italian Jews became victims of the Holocaust. General Kurt Malzer, Nazi in Rome, died in 1952. Austrian Ludwig Koch was the head of the Gestapo and the neo-Fascist Italian police in Rome and received three years imprisonment after the war. It is estimated that about 80% of Italian Jews survived the Holocaust. Italy's pre-final solution population was 40,000. The number of Jews killed in the final solution was 8,000. The surviving community however was able to maintain its distinctiveness and played a significant role in the following years, in the fields of politics, literature, science and industry. Writers such as Giorgio Bassani, Natalia Ginzburg and Primo Levi were among the leading figures of the Italian culture in the post-war years. The size of the Italian Jewish community has faced a slight but continuous drop throughout the postwar decades, partly because of emigration to Israel or the United States and partly because of low birth rates and assimilation, especially in the small congregations of the North. A significant increase occurred during the 1970s due to the arrival of Iranian Jews (following the ousting of the Shah) and North African Jews (mainly from Libya) due to political turmoil after Gaddafi's seizure of power. Today, the Jewish community in Italy numbers around 45,000. There have only been occasional antisemitic incidents in recent years. Chabad of Venice is a Chabad house located in Venice, Italy, also having a yeshiva in the main square of the ancient Venetian Ghetto, a pastry shop and a restaurant named "Gam Gam" at the entrance to the ghetto. Sabbath meals are served at the restaurant's outdoor tables along the Cannaregio Canal with views of the Guglie Bridge near the Grand Canal. In the novel Much Ado About Jesse Kaplan the restaurant is the site of a historical mystery. Every year for the festival of Sukkot a sukkah is built on a canal boat that tours the city, a large menorah tours the city on a canal boat during Hanukkah. Today, the Italian Jews number about 45,000, as reported by the American Jewish Yearbook (2007), on a total Italian population of circa 60 milions people, which therefore is approx. 0.05-0,1%. Greater concentrations are in Rome (20.000 people), Milan (12.000), Tuscany, Piedmont and Veneto, but also in Genoa and Trieste. Cf. the demographic statistics by Sergio DellaPergola, published on World Jewish Population, American Jewish Committee, 2007.URL accessed 13 March 2013. As data originate from records kept by the various Italian Jewish congregations (which means they. Senigaglia family A very old Italian Jewish family that can be traced back over 800 years. ↑ As reported by the American Jewish Yearbook (2007), on a total Italian population of circa 60 milions people, which therefore is approx. 0.075%. Greater concentrations are in Rome and Milan. Cf. the demographic statistics by Sergio DellaPergola, published on World Jewish Population, American Jewish Committee, 2007.URL accessed 13 March 2013. As data originate from records kept by the various Italian Jewish congregations (which means they register "observant" Jews who have somehow had to go through basic rituals such as the Brit Milah or Bar/Bat Mitzvah etc.). Excluded are therefore "ethnic Jews", lay Jews, atheist/agnostic Jews, et al. – cfr. "Who is a Jew?". If these are added, then the total population would increase, possibly to approx. 45,000 Jews in Italy, not counting recent migrations from North Africa and Eastern Europe. ↑ "Greece-Italy and the Mediterranian Islands". Jewish Web Index. 1 2 Talalay Dardashti, Schelly (20 August 2006). "Tracing the Tribe: At the ICJG: Jews in Italy". Retrieved 19 September 2007. ↑ Singer, Isidore (1906). "Rapoport". Jewish Encyclopedia. Retrieved 16 September 2007. ↑ Colletta, John Phillip (2003). Finding Italian Roots: The Complete Guide for Americans. Genealogical Publishing. pp. 146–148. ISBN 0-8063-1741-8. ↑ James Carroll, Constantine's Sword, Boston, Houghton Mifflin, 2002, pp. 363–64. ↑ "Kabbalah and Conversion: Caramuel and Ciantes on Kabbalah as a Means for the Conversion of the Jews", by Yossef Schwartz, in Un’altra modernità. Juan Caramuel Lobkowitz (1606–1682): enciclopedia e probabilismo, eds. Daniele Sabaino and Paolo C. Pissavino (Pisa: Edizioni EPS 2012): 175–187, 176–7, http://www.academia.edu/2353870/Kabbalah_and_Conversion_Caramuel_and_Ciantes_on_Kabbalah_as_a_Means_for_the_Conversion_of_the_Jews Accessed 16 March 2012. See Summa divi Thomae Aquinatis ordinis praedicatorum Contra Gentiles quam Hebraicè eloquitur Iosephus Ciantes Romanus Episcopus Marsicensis ex eodem Ordine assumptus, ex typographia Iacobi Phaei Andreae filii, Romae 1657. ↑ Hubert Wolf, Kenneth Kronenberg, "Pope and Devil: The Vatican's Archives and the Third Reich", Harvard University Press, 2010, p.91 ; See also fr:Oremus et pro perfidis Judaeis#Les années 1920 et la tentative de réforme des Amici Israel. ↑ Gruber, Ruth Ellen (16 June 2010). "In Venice, a Jewish disconnect between locals and visitors". JTA. ↑ Rick Steves' Venice, Rick Steves, Avalon Travel, 2007, p. 40. ↑ Friends Find Real Flavor of Europe, Jewish Journal of Greater L.A., 15 July 2004. ↑ Jager, Elliot (15 November 2005). "Back to the ghetto". Jerusalem Post. After Friday night prayers in one of the historic but melancholy-looking synagogues, we went off to Gam-Gam (with its Crown Heights decor), where we experienced an evening of charm, warmth, and song. Maybe you have to be a member of the tribe to appreciate how good it feels to be gazing at a Venetian canal while singing Friday-night zemirot in the company of 150 Jews of all stripes, lands, and levels of affiliation, enjoying a free, bountiful meal waited upon by rabbis-in-training. ↑ Cohen, Paula Marantz (2004). Much Ado About Jessie Kaplan. St. Martin's Press. ISBN 978-0-312-32498-8. 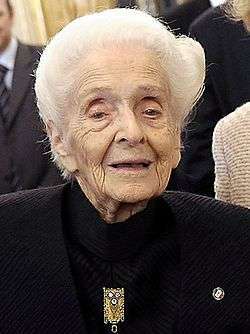 ↑ Gruber, Ruth Ellen (30 November 1999). "Chabad now the Jewish face of Venice". JTA. ↑ As reported by the American Jewish Yearbook (2007), on a total Italian population of circa 60 milions people, which therefore is approx. 0.05-0,1%. Greater concentrations are in Rome and Milan. Cf. the demographic statistics by Sergio DellaPergola, published on World Jewish Population, American Jewish Committee, 2007.URL accessed 13 March 2013. As data originate from records kept by the various Italian Jewish congregations (which means they register "observant" Jews who have somehow had to go through basic rituals such as the Brit Milah or Bar/Bat Mitzvah etc.). Excluded are therefore "ethnic Jews", lay Jews, atheist/agnostic Jews, et al. – cfr. "Who is a Jew?". If these are added, then the total population would increase, possibly to approx. 45,000 Jews in Italy, not counting recent migrations from North Africa and Eastern Europe. Harrowitz, Nancy A., Anti-Semitism, Misogyny, and the Logic of Cultural Difference: Cesare Lombroso and Matilde Serao (Lincoln and London: University of Nebraska Press, 1994). Schächter, Elizabeth, "The Enigma of Svevo's Jewishness: Trieste and the Jewish Cultural Tradition," Italian Studies, 50 (1995), 24–47. Michele Sarfatti, Gli Ebrei nell'Italia fascista. Vicende, identità, persecuzione (Torino, 2000). Ilaria Pavan / Guri Schwarz (a cura di), Gli ebrei in Italia tra persecuzione fascista e reintegrazione postbellica (Fiorenze, 2001). Enzo Collotti, Il Fascismo e gli ebrei. Le leggi razziali in Italia (Bari / Roma, Editori Laterza, 2003). Wiley Feinstein, The Civilization of the Holocaust in Italy: Poets, Artists, Saints, Anti-Semites (Madison, NJ: Fairleigh Dickinson University Press, 2004). Guri Schwarz, After Mussolini: Jewish Life and Jewish Memories in Post-Fascist Italy (London-Portland, OR: Vallentine Mitchell, 2012). Ilaria Pavan, Tra indifferenza e oblio. Le conseguenze economiche delle leggi razziali in Italia 1938–1970 (Fiorenze, 2004). Joshua D. Zimmerman (ed), The Jews of Italy under Fascist and Nazi Rule 1922–1945 (Cambridge, CUP, 2005). Giovanna D'Amico, Quando l'eccezione diventa norma. La reintegrazione degli ebrei nell'Italia postfascista (Torino, Bollati Boringhieri, 2005). Ilaria Pavan, Il podestà ebreo. La storia di Renzo Ravenna tra fascismo e leggi razziali (Bari / Roma, Editori Laterza, 2006). Michele Sarfatti, The Jews in Mussolini's Italy: From Equality to Persecution (Madison, University of Wisconsin Press, 2006) (Series in Modern European Cultural and Intellectual History). Gudrun Jäger / Liana Novelli-Glaab (eds. ): Judentum und Antisemitismus im modernen Italien (Berlin, 2007). Segre, Dan Vittorio, Memoirs of a Fortunate Jew: An Italian Story (Chicago, University of Chicago Press, 2008). Marzano Arturo, Schwarz Guri, "Attentato alla sinagoga. Roma 9 ottobre 1982. Il conflitto israelo-palestinese e l'Italia" (Rome, Viella 2013). Ferrara degli Uberti, Carlotta, "Fare gli ebrei italiani. Autorappesentazioni di una minoranza (1861–1918)", (Bologna, Il Mulino 2010).